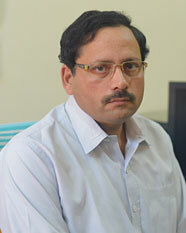 Dr A. K Mishra is Professor of Finance and Accounting at Indian Institute of Management, Lucknow since 1997. He has taught Investment Banking, Financial Services, Strategic Financial Management, Financial Management, Financial Accounting and Management Accounting to Post Graduate Management students over the last 25 years. He has also been actively involved in training working executives in these areas. Research interests include Investment banking, Investment Management, Venture Capital Financing, Management of Financial Services, Banking and Corporate Finance. He has carried out extensive research in these areas, which have been published in various reputed journals and books. At present he is carrying out extensive research on IPOs. Other current research interests include Banking Policies, Corporate Finance and Financial Services. His academic assignments include teaching a diversified range of courses in Finance to post graduate students at various institutions in India. He has taught Investment Banking, Security Analysis & Portfolio Management, Corporate Finance, Management of Financial Institutions, International Finance. Management of Financial Services, Strategic Financial Management, Financial Management, Financial Accounting and Management Accounting to Post Graduate Management students over the last 25 years. He is the position holder in his Bachelors and Master’s Degree in Commerce with specialization in Finance from Banaras Hindu University where he was included in the University’s Honour List. He was awarded his Ph.D. in Finance on “Emerging Trends of Venture Capital in Corporate Sector in India” from Banaras Hindu University. Dr. Mishra has been rendering advisory/consultancy services to many companies and government agencies in India. These include PICUP, Indian Bank Association, Central Electricity Authority etc. ; and International Agencies such as Asian Development Bank, Colombo Plan assisted programmes. His recent consulting activities include Study of Valuation Methodologies for Intellectual Property in Information Technology sector, Consultancy Project for PICUP; and Rating of Commercial Banks in India, the consultancy work performed for Indian Bank Association, India. Among his numerous teaching and lecturing activities, he has conducted highly successful management development programmes for practicing senior & middle level executives of corporate & non-corporate sectors. Besides programmes for executives in industry, he has also conducted numerous programmes for senior civil servants of India & South Asian Countries. Among Dr. Mishra’s honour and awards are UGC, BHU and National Merit Award for obtaining positions in graduate and post graduate classes, UGC Award for Financial Management in post-graduation under Special Assistance Programme (Ministry of HRD). His Ph.D. thesis was awarded the Industrial Finance Corporation of India (IFCI) research fellowship for the best thesis proposal. He is the first person in the University to receive this fellowship. American Biography Institute of USA had honoured Dr. Mishra with the titles of Distinguished Leadership and Man of the Year-1998 (name entered in the International Directory of Distinguished Leadership, Eighth Edition, the American Biographical Institute, USA). His paper on Venture Capital Financing: -Evaluation Studies & Follow up Actions published in Chartered Accountant was awarded second best research paper award from Institute of Chartered Accountants of India (ICAI).